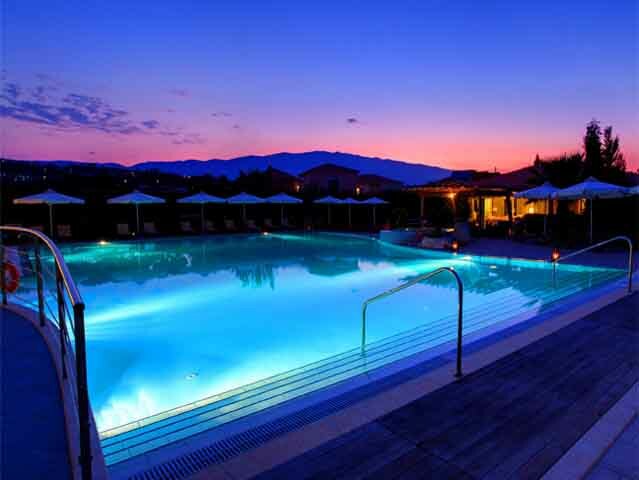 Avithos Resort in Kefalonia Island , imperiously declaring its airy presence, escorted by an evergreen orchard of olive groves and cypress trees, Avithos Resort in Kefalonia Island, one of the most beautiful Ionian Islands in Greece, swarms with warmth for its guests.Consisting of seventeen buildings, Avithos is a 4 star hotel in Kefalonia, the largest of Ionian Islands in Greece, that stands out as a resort with a unique character, giving the feeling of a small neighbourhood; a family friendly Kefalonia Hotel, lovely for couples as well.Situated in the heartfelt embrace of Svoronata, a peaceful area near the Airport and only 15 minutes away from Argostoli by car, the capital of Kefalonia Island, Avithos outclasses any other hotel in Kefalonia and the rest Ionian Islands, as the absolute holiday resort among 4 star hotels. 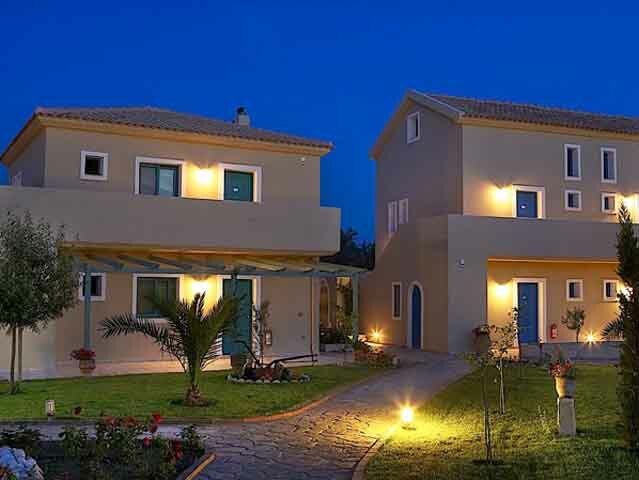 This fine holiday rentals complex provides for special sunny holidays and a homelike accommodation in Kefalonia. 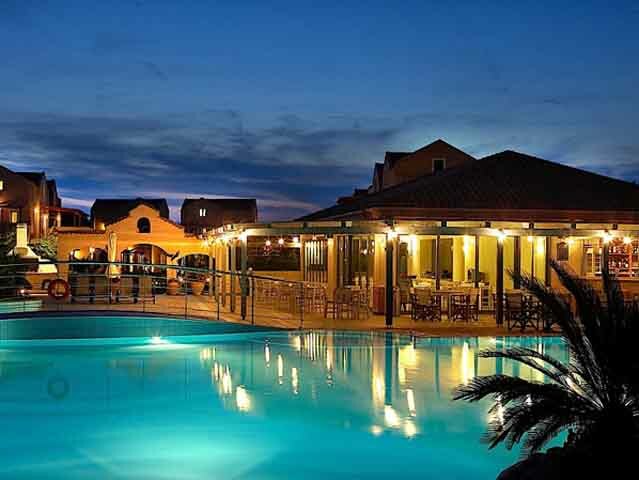 Whether you are interested in a family accommodation or a tranquil, romantic accommodation for couples, you will find that Avithos Resort is by far the ultimate accommodation in Kefalonia, Greece. Unfolding a wide homelike space for its guests, the beautifully furnished Family Studios offer more than comfort, for two to four people. 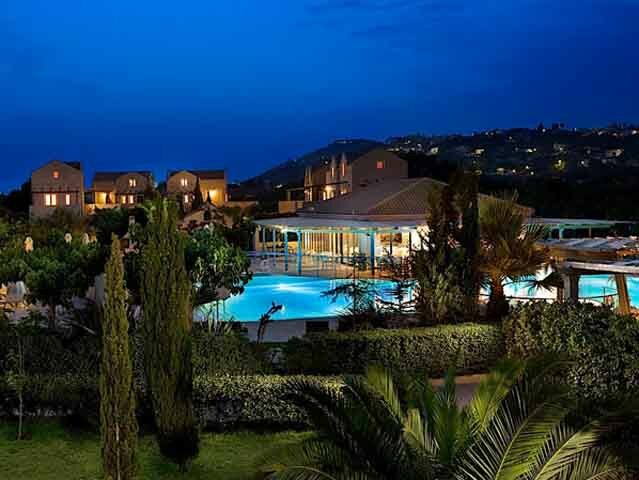 Enjoy your view to the fascinating gardens or swimming pool of the hotel from your pretty terrace; pamper your family by cooking their favourite meal in the kitchenette area, fully equipped with an electric cooker, a microwave oven and various kettles. The capacious bathroom, as a separated space, has a shower or bath, WC and a hairdryer. Happily decorated spaces for two people, sparing an extra room with a sofa bed for a third person. Well furnished and comfortable, all Superior studios feature a small kitchen area, equipped with an electric cooker, certain kitchenware and a microwave oven, in case you enjoy cooking your own meals for yourself and your loved ones. The bathroom is clean, spacious and disposes a comfortable shower, WC and hairdryer. 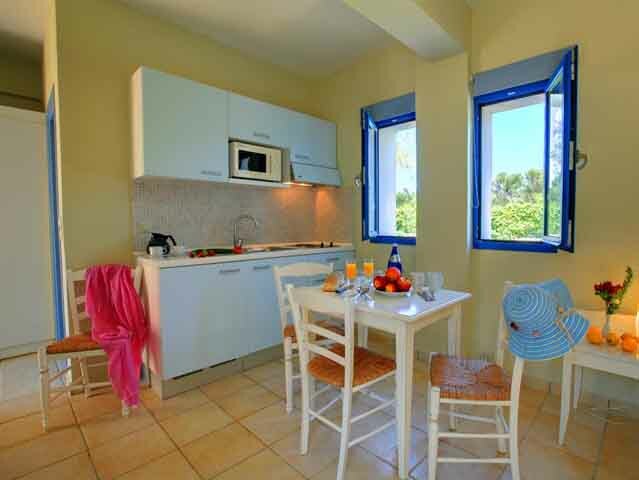 Each studio has a unique character and a different “point of view”, with a private balcony or terrace, depending on their position in Avithos Resort. 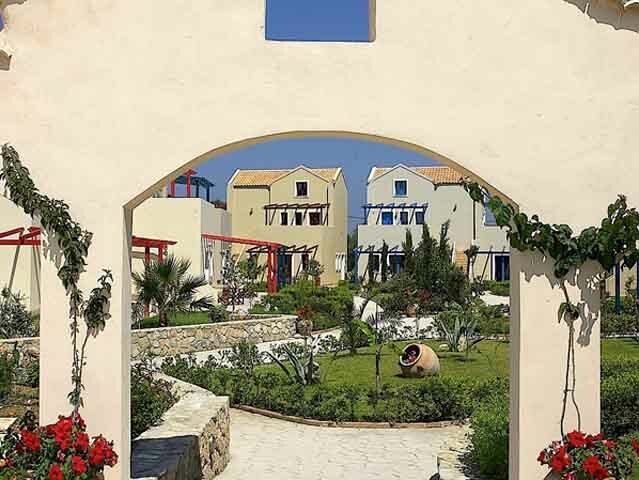 On the first floor of each building of Avithos Resort, 11 spacious Maisonettes decorated in a suave insular style wait for you to experience their extensive hospitality. 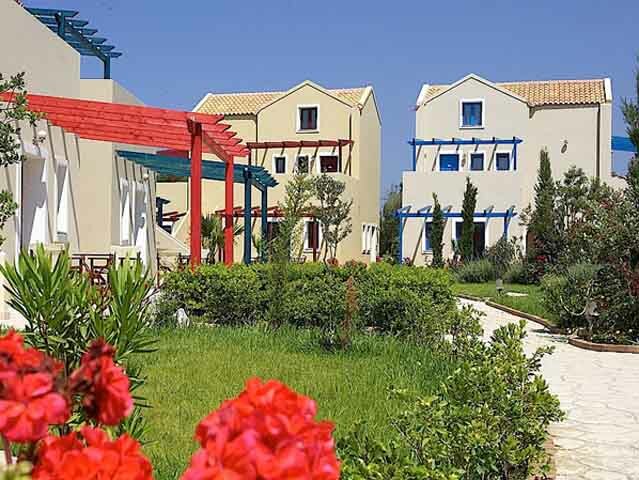 Furnished with beautiful marble-topped tables and modern furniture, the Maisonettes seem to uncoil odours, textures and whispers of Kefalonia, in every corner. The fully equipped kitchen has a cooker, a fridge, a microwave oven and kitchenware; all you have to do is add your fantasy and cooking abilities and of course, your appetite. 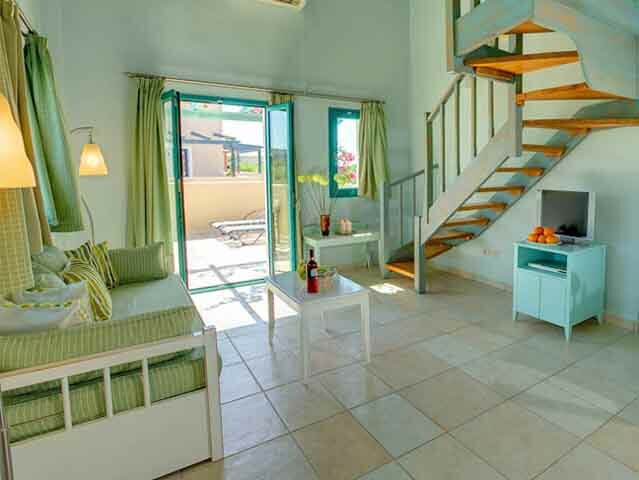 Balconies with panoramic view to olive groves and gardens add a calming feeling to the apartments. The total space of the Maisonettes, ideal for four people and one child, are harmoniously divided into upstairs and downstairs, with steps leading up to the separate mezzanine area, where there is a twin or double bed and a sofa bed accommodating up to three people. Downstairs, two comfortable sofa beds are perfect for two more people. The space of the Maisonettes is distributed in such a way, where four people can enjoy themselves together, having some moments of privacy as well, if they wish to. Either found on the ground floor or first floor, the One-bedroom Apartments feature a double bed, or 2 twin beds in the bedroom along with a sofa-bed in a separate area, perfect for three friends, a couple, or a small family. An alluring view of the verdurous garden and brilliant blue pool penetrates through the balcony or terrace, adding a calming attitude to the apartments. The bathroom is a separate room with a shower, WC and a hairdryer. 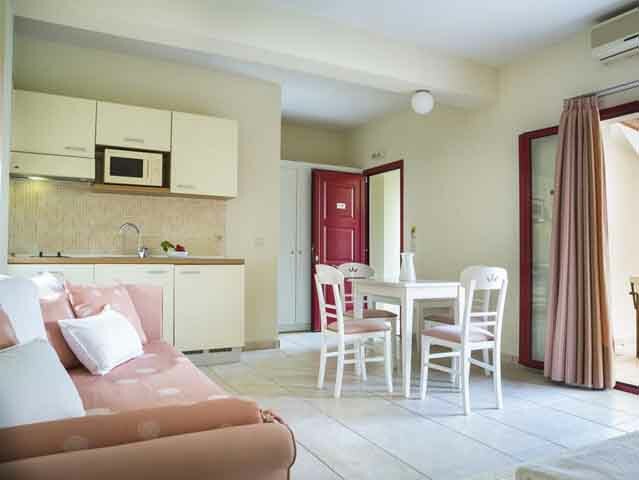 All One-bedroom Apartments have kitchenettes equipped with kettles, an electric cooker and a microwave oven. Ample luxurious spaces in a separate building, resembling a real house apartment, featuring a large double-bed in the bedroom and two comfortable sofa-beds in the living area; Apartment – suites are perfect for a group of six people. The kitchen area is fully equipped with a cooker, a proper oven, a microwave oven, a fridge and a kettle. 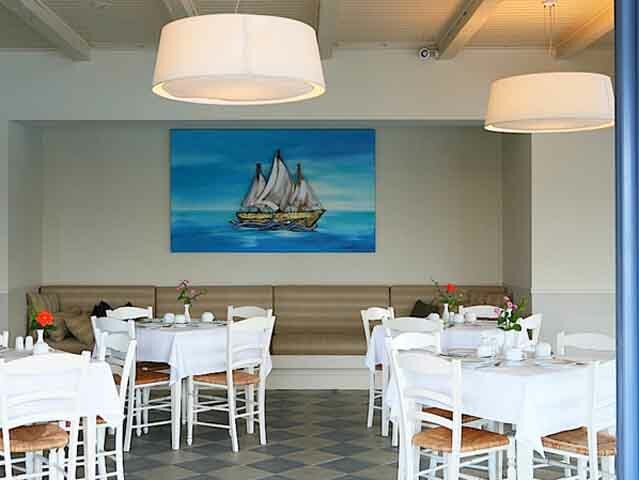 There is also a well-appointed dining area for four and a separate large bathroom with many luxurious amenities. 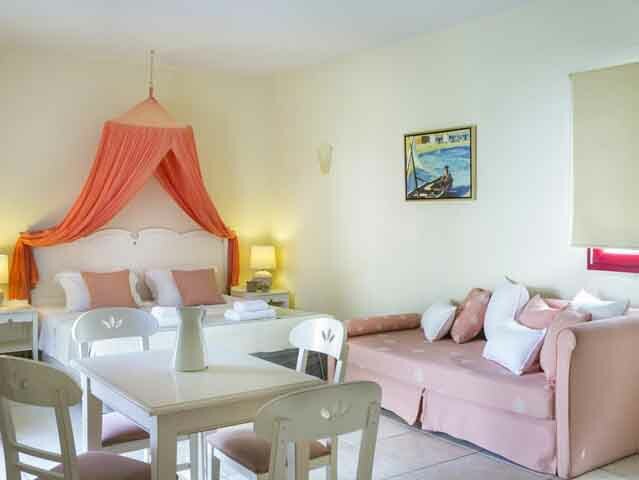 The highlight of the Apartment – suites of Avithos Resort, is the fireplace in the living – room, diffusing a vividly warm, domestic character to the apartment. 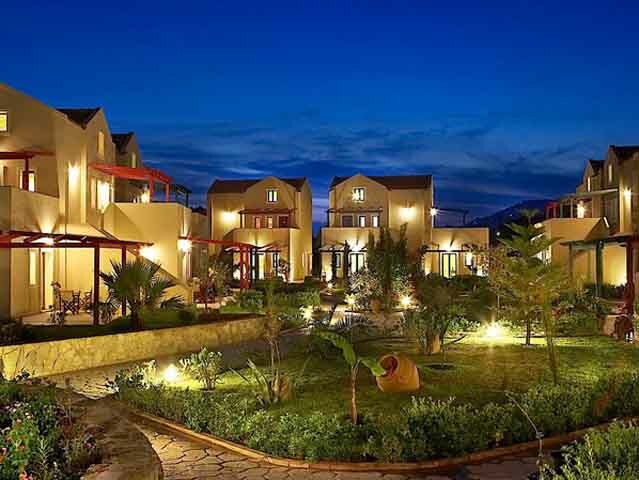 Avithos Resort is located in the south-west part of Kefalonia, near Avithos beach in the area of Svoronata, 10 km from the island's capital, Argostoli and close to the island's Airport. 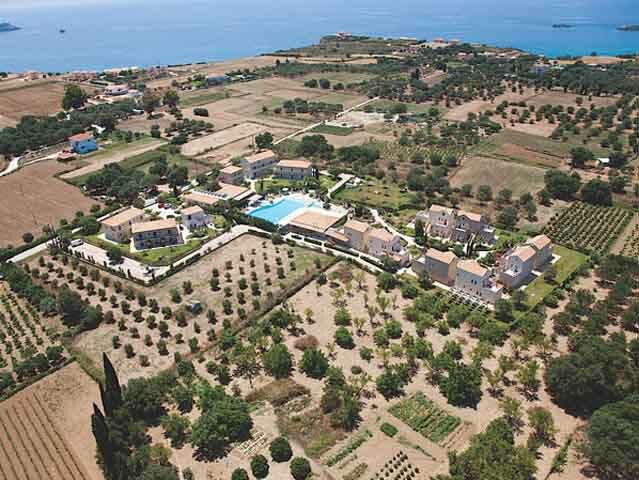 Svoronata is a picturesque village, where one can find traditional houses with fragrant, inlaid gardens, olive and orange groves; a very peaceful place. Book Early for 2019 and save up to 25% !! LIMITED TIME !! Book Early and Save Up To 25% !! The Offer Is Valid till 20/10/19 !! Limited Time Offer !! 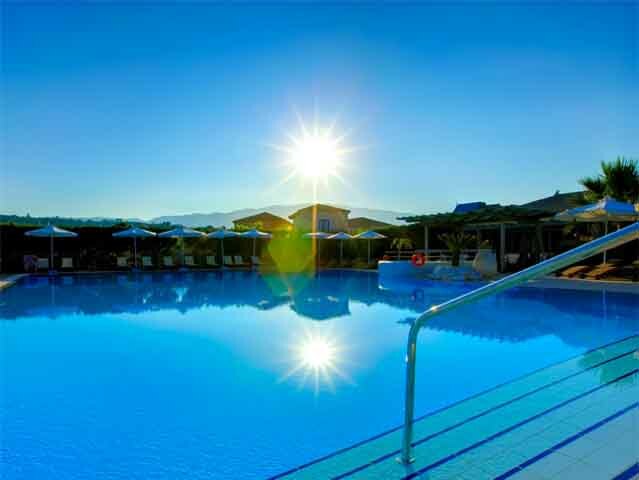 Open:April-October...Avithos Resort in Kefalonia Island , imperiously declaring its airy presence, escorted by an evergreen orchard of olive groves and cypress trees, Avithos Resort in Kefalonia Island, one of the most beautiful Ionian Islands in Greece, swarms with warmth for its guests.Consisting of seventeen buildings, Avithos is a 4 star hotel in Kefalonia, the largest of Ionian Islands in Greece.